Atwater Family Dental | Offices of Eric K. Cheung, D.D.S. Dr Eric Kai Cheung DDS has been recognized as one of the top Atwater Dentistry practices. Dr. Eric Cheung and his staff are dedicated to provide comprehensive dental care to you and your family at the most reasonable price. 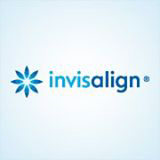 Preventive care and good oral hygiene are our main focus. Dr. Eric performs restorative and cosmetic dentistry such as tooth color fillings, porcelain veneers, crown, and bridge, implant crown, tooth whitening and also professional cleaning, night guard, anti-snoring device, root canal treatment, extraction, partial and complete dentures along with sedation dentistry. We treat toddlers to people over 100 years old. Toothache and other emergency appointment welcome. Most PPO insurance, credit card, cash and cheque accepted. We are not Medi-cal and HMO providers at this time. Care credit and other payment plan available. New Patients Welcome. Dr. Eric K. Cheung D.D.S.